Founded in 2017, Manchester Collective are redefining how a new generation of audiences engage with the arts. A pioneering supergroup made up of world-class instrumentalists, they bring their new show ‘Romantic Hero’ to the Invisible Wind Factory on 5 October. We spoke to Managing Director Adam Szabo about the show, their new season, and the future. The collective’s mission statement is ‘radical human experiences through music.’ Can he expand on this idea? 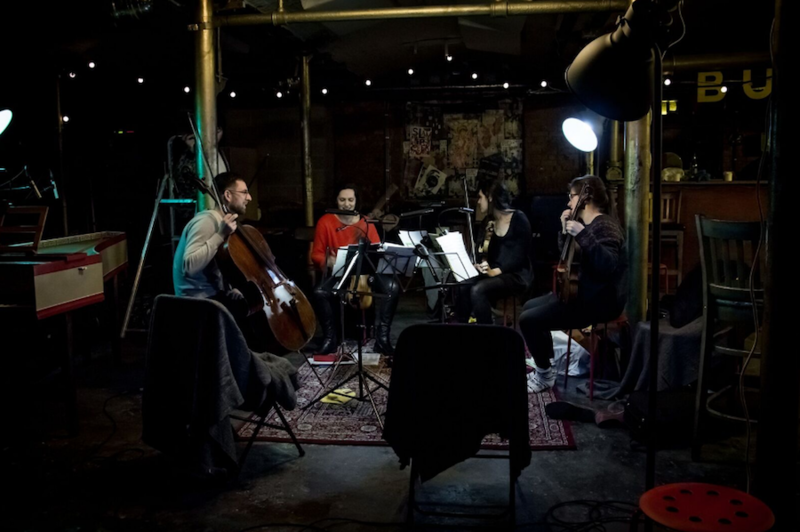 This is Manchester Collective’s third time performing at the Invisible Wind Factory; they’ve also played a cotton mill, post office and steel mill and will take their 2018-19 season to, amongst others, Newcastle’s Cobalt Studios and infamous Salford nightclub the White Hotel. What’s important about bringing music that’s usually heard in much more formal settings to venues like these? In a short time the collective has already spent time as Ensemble in Residence at Stoller Hall, appeared in several important publications and been featured by Classic FM and the BBC. How do they plan to maintain such a stratospheric trajectory? ‘We have big goals for the Collective. At the moment, we’re growing at a slightly terrifying pace – we played our first ever show in January last year, and this season (18/19) we perform over 50 shows across 12 venues, and tour to Europe for the first time. ‘Romantic Hero’ marks the first time pianist Jayson Gillham has performed with the collective. ‘Jayson is a bit of a superstar, really lovely’ says Szabo. So how did he come to be involved? 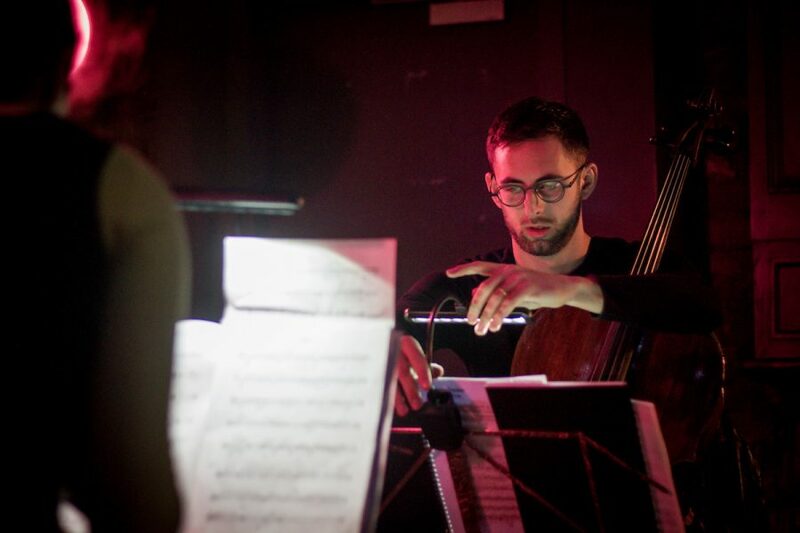 Some of the shows Szabo and his collaborators have put together in the past have been real melting pots of genres and disciplines, featuring artists as diverse as electronic artist Vessel and cellist Oliver Coates. This variety, Adam tells us, forms a core part of what they do. 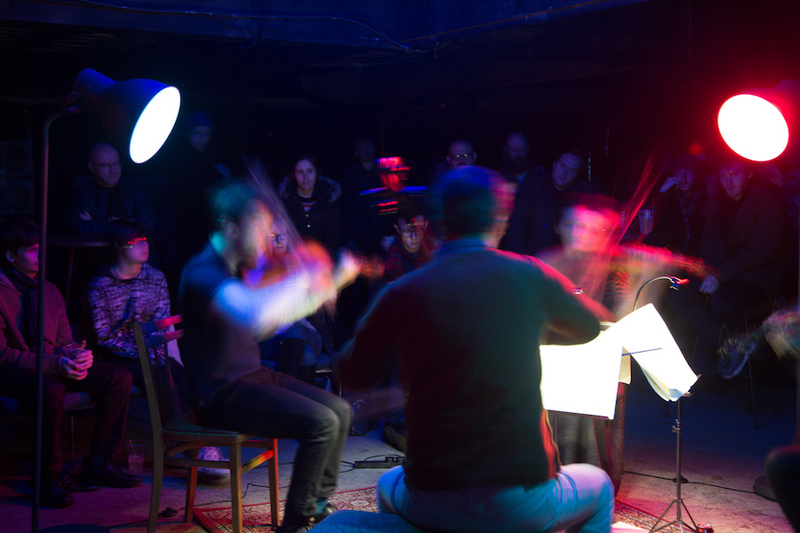 ‘Over the course of this season we cover a huge range of repertoire: we’re performing a cult work by George Crumb (Black Angels) in a one-off midnight performance at The White Hotel nightclub; touring to Kings Place in London for a revival performance of our show about electronics and live strings, 100 Demons; and producing a staged production of one of the most controversial works ever written – Pierrot Lunaire by Schoenberg. Those projects are just a small part of the season – we promise to keep surprising our audiences’. Szabo generally develops programmes alongside Music Director Rakhi Singh, often years in advance. It’s a fun process, but a tough one. ‘Our shows can go through many, many iterations before we settle on the programme that audiences come to experience’. So why romantic heroes? So other than a packed season of shows, what’s next? The collective were featured in an NTS broadcast earlier this year; do they have any similar projects in the works? ‘We had a great time on that one. NTS actually approached us and asked us to put together a two-hour show. We were totally green, never having done anything like that before, but were really excited about the prospect of taking listeners on a journey through some really disparate music. We played some of our own material, but also lots of our favourite tunes from other artists and composers. The set is still up on the NTS website – you can listen to it here’. Manchester Collective perform ‘Romantic Hero’ at the Invisible Wind Factory tomorrow, 5 October. Tickets are available here.